Ion have announced a number of new products which they have added to their range at CES this week including the Ion Guitar Apprentice and Ion iCade controllers. Another new addition to their line-up is the Ion Audio Guitarlink Air, that allows you to link guitars wirelessly without being constrained by cables to your amplifier, computer or iOS device. 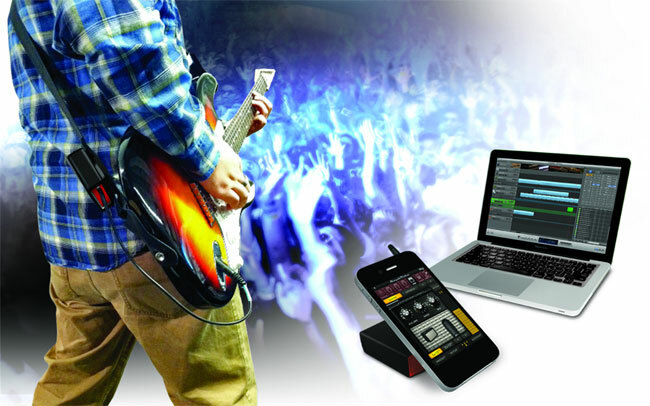 A small transmitter clips to your guitar strap and uses Ion’s exclusive, ultra-fast 2.4 GHz signal that is instantly amplified by whatever device you choose to connect, be it your Mac, PC, iPad or iPhone. Unfortunately no information on pricing or worldwide availability has been released as yet by Ion, but as soon as information comes to light we will keep you updated as always.